It seems like a non-question but this has been on my mind as I head into the third call for submissions of the Journal of the Social Age. This question has therefore prompted a reflective, working out loud piece that ends with an invitation to let me know your thoughts. Is a Journal a random collection of articles? When is a journal a Journal? I have taken the idea of a Journal and shaped it according to what I thought was right. I wanted to make it an opportunity to work together, collaborate and depend on others when writing and creating for public consumption, a daunting idea for some. I also wanted it to be a reflection of thoughts and experience around this topic, the Social Age. A place to collect and distribute knowledge about the ‘Social Age’ (Yes, Julian’s idea). 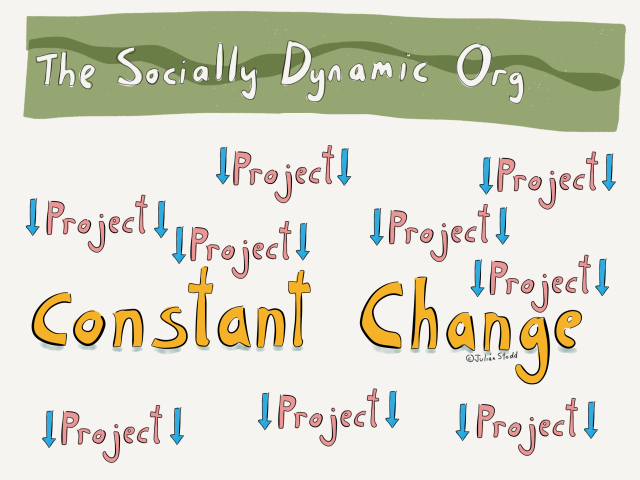 It’s still small and experimental, I am enjoying playing with and examining how to construct opportunities for people and ideas to emerge (see another idea: Social Leadership). I’m all about the practical side, how things can be done and what we can learn along the way. When I start to work with ideas, given my background as an instructional designer, self taught, I do a lot of research, I read, I contextualise, I drill down and try to connect the dots based on other ideas and concepts that live in my pre-consciousness (not sub-conscious, but just below the surface, ready to draw on when needed). I identify commonalities, that’s how I learn, how I teach myself. So, to theme or not? I would like it to be on me, on my vision for the Journal, on my personality! However, if I am carrying this experiment out, I have to open it up. I like themes, and I like to analyse and see themes emerge, interpret and share them back to the community for validation. In my opinion, this is one way to contribute knowledge to a community of practice (see Wenger, mapping knowledge). It boils down to what we want from this Journal. I have my own ideas and agenda which is multifaceted, however others find different value from it. For example, in one conversation with Kate Ensor who volunteered for the Selection Committee, she expressed how she would use the Journal to share the ideas and practices of working and living in social spaces with colleagues who are new to these concepts. Perhaps identifying a common thread that has emerged from a set of written pieces belongs in an editorial, being a more subjective point of view on the pieces themselves. What do you want from the Journal? How would it help you with your agenda? What topics would support you? (See existing topics on the Call for Submissions ).